Arkevious Armstrong was born in Gastonia, North Carolina. 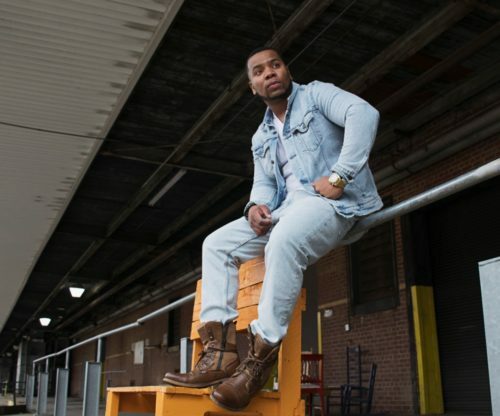 His life experiences, from foster care, detention centers, being a high school dropout with many run-ins with the law, eventually landed him in prison on two separate occasions. While incarcerated he earned his GED and completed many educational programs, this allowed him to gain an earnest passion for empowering and motivating individuals about the importance of education by helping them make healthier choices and decisions in life. Since being released in 2006, Arkevious has devoted his time with mentoring, community outreach and eventually starting his own program “Step Up To Leadership” a mentoring program for boys. With his passion for education Arkevious wanted to further his learning and earned an Associate Degree in Business Management from Strayer University. Arkevious developed the desire to motivate and inspire individuals to tap into their greatness through his motivational speaking’s, life and success coaching. Through his high-energy speaking engagements he motivates and empowers the lives of individuals by showing that they can have exceedingly and abundantly above all that they desire. Arkevious is able to provide all the tools that’s needed for an individual to be successful in their craft such as: Counseling, motivational Speaking’s, business education enhancement information, resources to gain interpersonal and developmental skills and more. Between 2015- 2017 Arkevious has reached over 3000 youth and adults by hosting and organizing events in the communities and motivational speaking engagements in high schools, churches, colleges, jails, community centers locally and nationally as a key note speaker. In addition to the above, Arkevious has begun a new venture which is a clothing line. Arkinspire/Inspire Apparel for men, women and children; which has inspired many individuals to become the best version of themselves. This movement has inspired and influenced others to Step Up and to be the difference for our youth and others as well. This model is to “Allow your presence to make a difference.” It’s a privilege to be able to change the lives of many through such a positive platform.